I have a secret to confess. I’m a massive tortilla muncher. I’m always down for munching tortilla chips on their own, but trust me when I say they’re even better when paired with delicious homemade dips. Simply because I love you SO much, I’ve made not 1 but 3 easy and quick tortillas chip dips that are sure to impress your guests at your next party or happy hour! When it comes to choosing the right tortilla chips, I’m definitely a huge fan of Food Should Taste Good™. 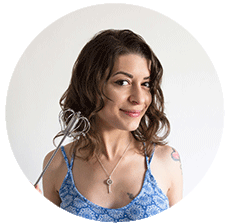 Light, wholesome and made up entirely of good ingredients, they’re my go-to snack food for those times when I’m craving something simple, crunchy and versatile. So, when they asked me to create 3 healthy and quick tortilla chip dips to go with their tortilla chips range, I immediately jumped on board. The Food Should Taste Good™ range is free from preservatives, artificial flavours and colourings, and each pack is baked using a high oleic sunflower oil, containing healthier unsaturated fats. The range comes in three tasty variants: Blue Corn, Multigrain and Sweet Potato. 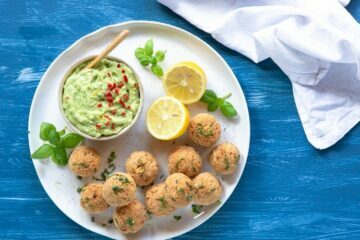 They’re all awesomely gluten-free and suitable for vegetarians – an inclusive snack bound to bring all foodies together! 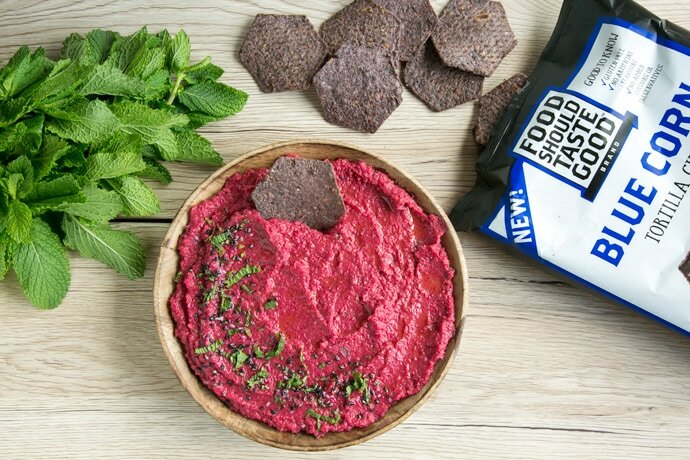 I’ve paired the Blue Corn Tortilla Chips with an awesome and super nutritious Beetroot & Mint hummus. The blue corn tortilla chips are definitely a favourite of mine. 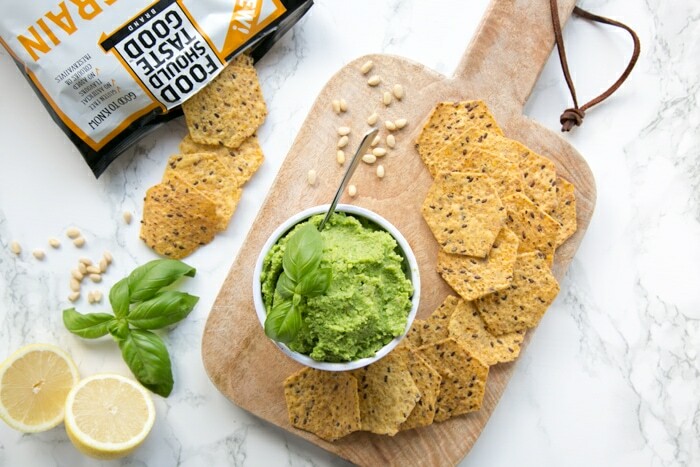 Nutty flaxseed, quinoa and organic blue corn create a robust yet versatile chip, that complements just perfectly the sweet and refreshing flavour of the hummus. 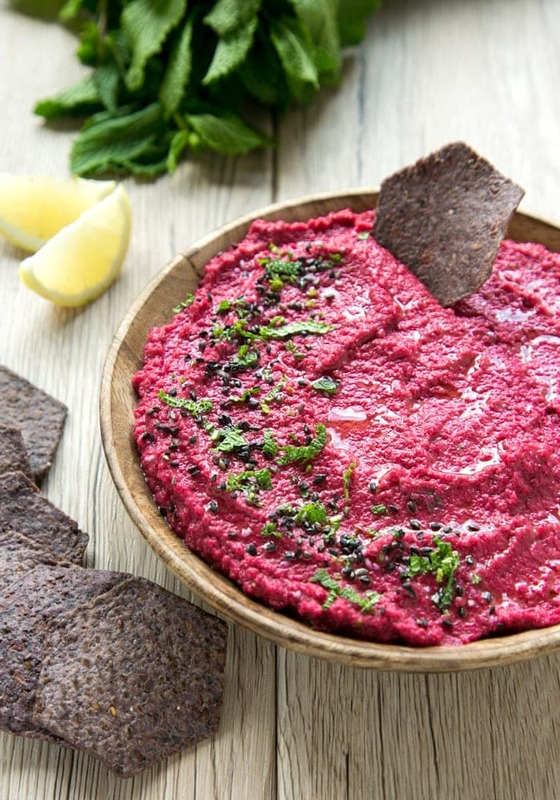 Making this Beetroot hummus couldn’t be any easier. All you have to do is throw in a food processor cooked beetroot, chickpeas, tahini, lemon juice, garlic, olive oil and spices, and simply blend all ingredients until smooth and creamy. Serve it along your tortilla chips for a highly nutritious snack that’s naturally gluten-free. Moving on, I’ve also created a fool-proof Kale & Basil Pesto to go along the Multigrain Tortilla Chips. 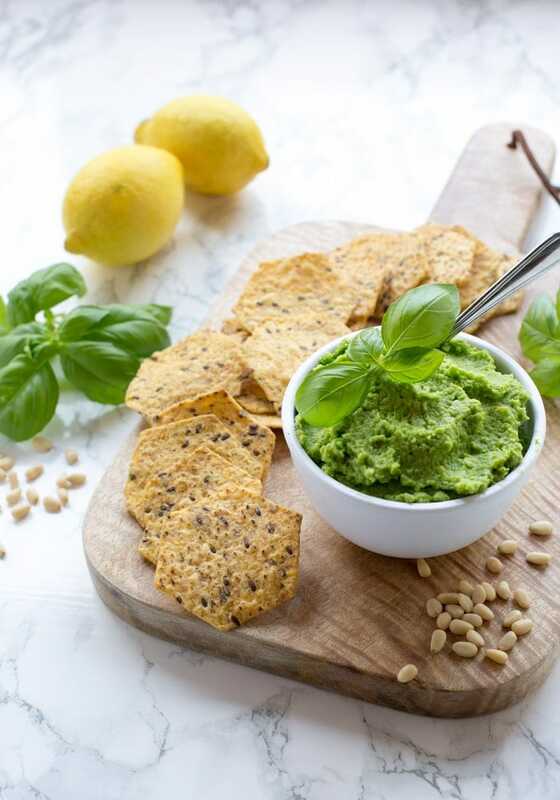 Flax, sunflower, quinoa and sesame seeds add a distinctively nutty flavour to this crisp, making it a delicious snack that can be enjoyed on its own, but it’s just as amazing paired with a refreshing Kale & Basil Pesto. For this quick and easy pesto, all you need is fresh baby kale (you can also substitute with fresh spinach leaves), fresh basil, lemon zest, pine nuts, garlic, parmesan cheese and olive oil. Put all the ingredients in a food processor and blend until creamy and smooth – Easy-peasy, right? 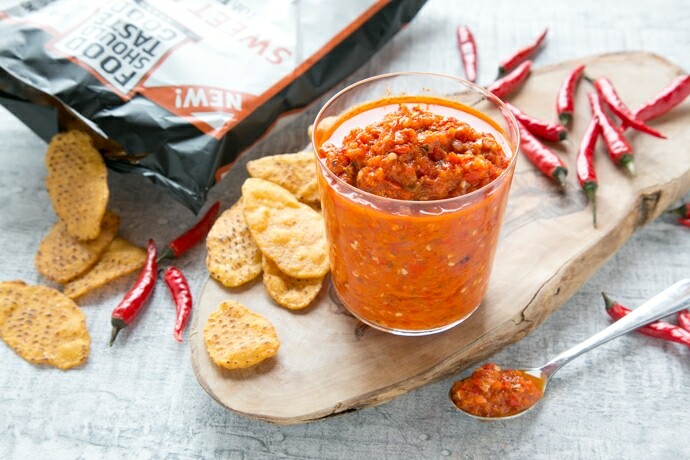 Last but not least, if you like all things spicy, you’ll completely fall in love with this Peri Peri sauce dip. 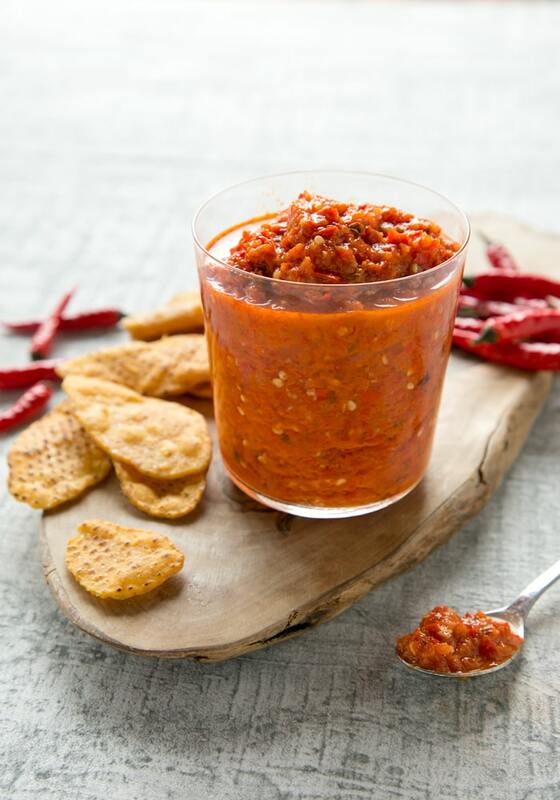 Fiercely spicy and rich, this dip is just the perfect match for the Sweet Potato Tortilla Chips. Delightfully crisp and baked to perfection, these sweet & salty tortilla chips gently kick off a bit of the heat coming from the dip, and are totally addictive. 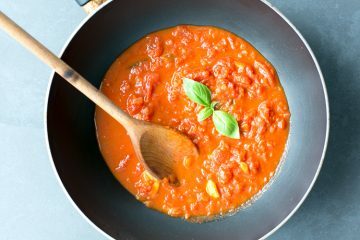 For the sauce, simply put all the ingredients in a food processor and blend until creamy but still a bit chunky. Then, reduce the sauce by gently simmering over medium-heat for a few minutes. Allow to cool for a bit and you’re all good to go. 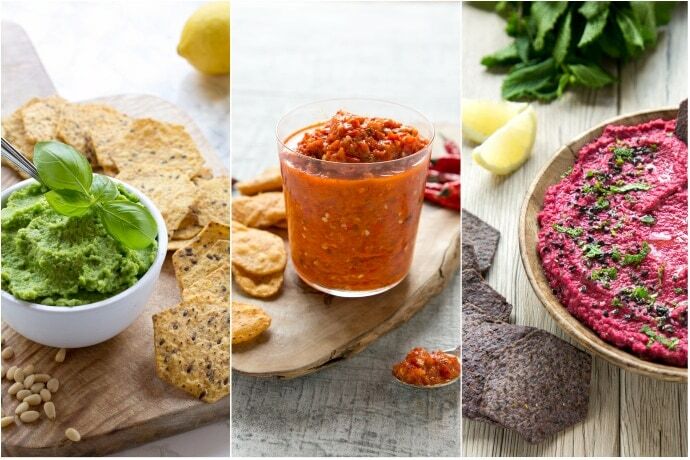 Don’t be afraid to mix & match these dips with your favourite Food Should Taste Good™ tortilla chips. Whether you’re looking for the perfect party finger food, or simply craving something tasty to snack on in the afternoon, these quick tortilla chip dips are sure to be a hit! What’s your favourite dip to snack on with tortilla chips? Let me know in the comments below! In a food processor, place beetroots, chickpeas, tahini, garlic, juice & zest of ½ lemon, and olive oil. Blend until you reach a creamy and smooth consistency. Add in salt and pepper to taste, za'atar spice mix if using, and freshly chopped mint. 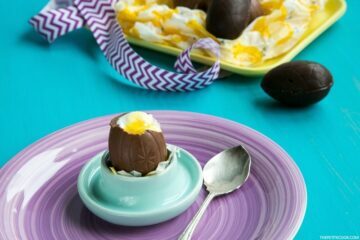 Mix through with a spoon, and serve with extra mint and black sesame seeds on top. Fold all the ingredients and ⅓ of the olive oil into a food processor, and blitz to a thick paste. With the motor running on low speed, slowly add the remaining oil through the feed tube. Fold all the ingredients into a food processor, and blitz to a smooth but still chunky paste. Transfer the mixture into a small pan and simmer over medium-low heat for 10 min, stirring occasionally. Season with salt and pepper to taste, and allow to cool before serving. This is a great trio of dips!